Kinaesthetic learner, Attention Deficit Disorder or hyperactivity, it doesn’t necessarily help the situation when you have a name for a particular behaviour. In fact some people resign from any responsibility for their actions when they are labelled. The problem is what can be done? According to Henry Osiecki (B.Sc. Grad. Dip Nutr. & Dietetics) some symptoms of ADHD are similar to those of essential fatty acid (EFA) deficiencies. Behavioural and learning problems, tantrums and sleeping disorders are common to both. Supplementing with omega 3 has been shown to improve learning and concentration behaviour. Other Nutritional Deficiencies in Learning – if your diet is inadequate then consider a quality multi-vitamin. B Complex – The functions of the B vitamins in mental alertness and energy are well established. 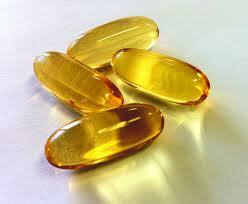 EFA – Omega 3 & Omega 6 – Introducing fish oil into a youngster’s diet may do wonders for concentration. Zinc – The functions of zinc and the immune system have been known for over 100 years. Knowledge of its other functions is relatively recent. Low levels of zinc are associated with low alertness, inability to think along abstract lines (learning a language e.g. English), mood and memory problems. Magnesium is one of the most deficient minerals in the modern western diet. Low brain magnesium gives unrefreshed sleep, causes easy fatigue (important for the Krebs cycle of energy production), poor concentration and daytime sleepiness.